June 2016 – "Expertise, Right Across the Board"
What type of problems can you have with conformal coating? Normally, when I am working with customers I see two types of problems. Those are problems relating to the conformal coating process and those relating to the actual product reliability. They are two very different issues to deal with. Ultimately, there are many factors that can affect the short, medium and long-term reliability of a circuit board. It is not just the conformal coating that can influence this. However, if the conformal coating material is not correctly specified at the reliability design stage then this could be the major issue and the reason for failure. Once the product reliability requirements have been defined as part of the conformal coating design procedure then the resulting information needs to be combined with the data from the conformal coating holistic approach. This will ensure that the risks of a failure due to the conformal coating are minimised. If the conformal coating material is not correctly specified at the reliability design stage then this could be the major issue and the reason for failure. Typical failure mechanisms in conformal coating processing normally come from the conformal coating masking process or the application process. Failures in the masking process are generally a known quantity and easy to understand. Adopting best practice methods for conformal coating masking can help to minimise these problems. Failures in the conformal coating application process are very well understood. Understanding and troubleshooting why these conformal coating failures occur can quickly lead to a solution to the failure in the conformal coating process. Need help with your conformal coating process? Contact Nexus now and let us show you how we can help you. 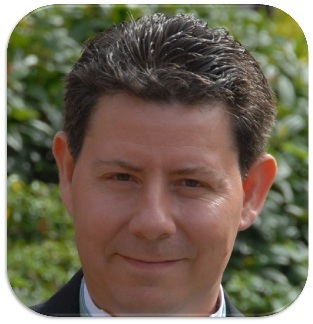 Dr Lee Hitchens is the Author of the Nexus eBook and a main contributor to Nexus. Author nexus3cPosted on June 30, 2016 June 21, 2016 Categories design, parylene coating process, troubleshootingTags conformal coating, problems, process, process control, product reliability, production, reliabilityLeave a comment on What type of problems can you have with conformal coating? Techniques for masking circuit boards with components, connectors, test points, mounting holes and via’s have been developed by many different companies with years of experience. This knowledge has been put together to help others new to the art of conformal coating masking. Categories for masking include tape, dots, latex and masking boots. To view the videos click Practical conformal coating masking videos now. People come to the Nexus eBook for several reasons. Click on each to find out more about the five most popular conformal coating areas. Where are conformal coatings being used? Conformal coatings are being used as protection in ever increasing electronic applications across a wide range of market sectors. In the past, conformal coating was only applied to military and safety critical products like medical devices as the cost and the process of doing this was high. However, the emphasis on reliability has changed. In recent years, the development in materials and new processes, linked with the customer requirement of a reliable electronic product that isn’t safety critical, has meant consumer electronics products must now be protected as well. With the new technologies like wearable electronics becoming more popular then this trend will only increase and protecting the electronics with a coating of some description will become even more commonplace. So what sectors are using conformal coatings and other thin film technologies? Due to the fact that conformal coatings provide several key benefits including moisture and insulation properties, chemical resistance and particulate protection, this means they can be used anywhere there is a need for a higher reliability than that which is achieved without the coating. It is possible to identify both traditional and emerging sectors where conformal coatings are being applied. Each market sector has a distinct set of requirements in terms of standards, operating environments as well as other factors that impact on the requirements. The challenge is for the engineer to define the requirements and the suppliers to provide the protection at a commercially effective price. To find out more click conformal coating basics to discover why conformal coatings are used and what they actually do to protect the circuit boards and products. Author nexus3cPosted on June 27, 2016 June 21, 2016 Categories conformalcoating101, UncategorizedTags aerospace, Aerospace Defence Automotive Telecommunications Industrial Engineering Transport White Goods Geothermal LEDs Solar Panels Marine and Coastal Environment Space Medical, conformal coating, industrial, military, sectors, where are conformal coatings used?Leave a comment on Where are conformal coatings being used? Everyone has conformal coating process problems. No one is immune to this issue. They may be minor and they may pass the inspection process. But, I guarantee conformal coating defects occur on every production line in the world at some point. This list could be extended. There are many defects defined by the IPC conformal coating standards that occur regularly in the production environment. But I see these defects more often than the others. Finally, some of these defects and problems are universal and occur on all production lines. These include bubbles in the conformal coating and capillary flow effects. Others defect’s only happen due to certain circumstances. These include blushing (that requires moisture in the air) and de-wetting (requiring contamination or a low surface energy on the surface of the board). Of course, all of the conformal coating defects are preventable. Click conformal coating problems to find out more about these defects and how you can stop them occurring in your production process. How can we improve Nexus? Let me know your thoughts on the content and how we can improve our services ? Contact me directly by email lhitchens@nexus3c.com now. Or use our contact page and let us know what you would us to develop for you? This month’s newsletter contains two great articles on designing and selecting conformal coatings, a launch of a new section on practical masking and all of the many updates this month to the eBook. Here’s an insight into what its all about! Why selecting a conformal coating can cost you a fortune! Choosing a coating to protect your product should be easy. So, why does it go wrong so often? Find out why and how to stop it happening. If so read on and prevent it happening to you. Read our June 2016 Nexus Newsletter now. Contact me directly lhitchens@nexus3c.com now. When I consider what is required for a conformal coating process I first consider the trinity of conformal coating. That is the circuit board design, the application process and the coating material to be used. This is what I call the holistic approach to the conformal coating selection process. Once this task has been complete and I have the material and application method defined and it suits my circuit board I can then consider the production line as a whole. For traditional liquid conformal coatings there are seven key stages when considering a conformal coating production line. Not all stages may be used. But, each stage should be considered for use when setting up a new conformal coating process. These seven stages combined give you the conformal coating production line. Click the seven stages of the conformal coating production line to find out more about each of the key stages.